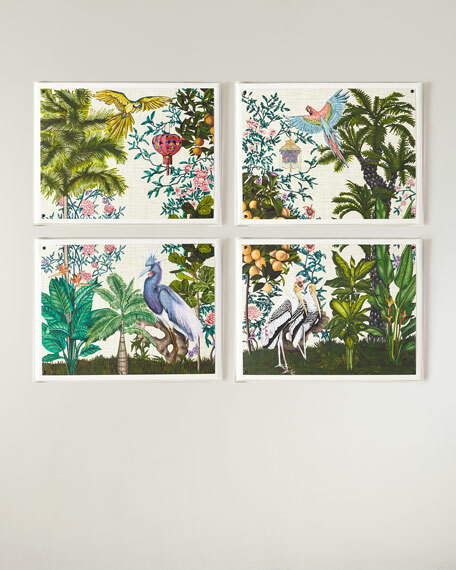 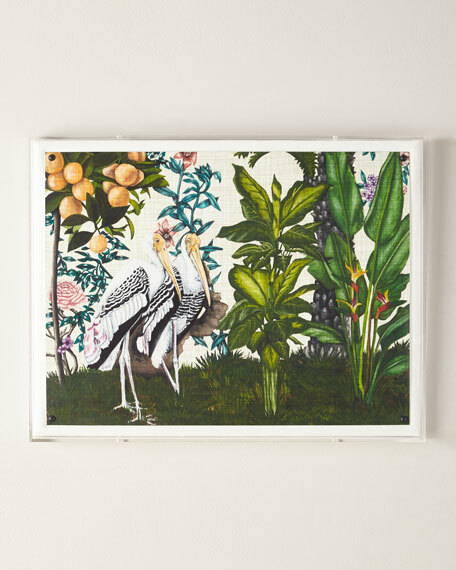 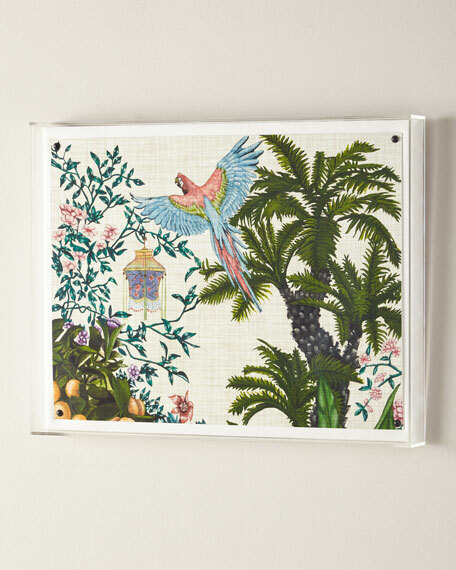 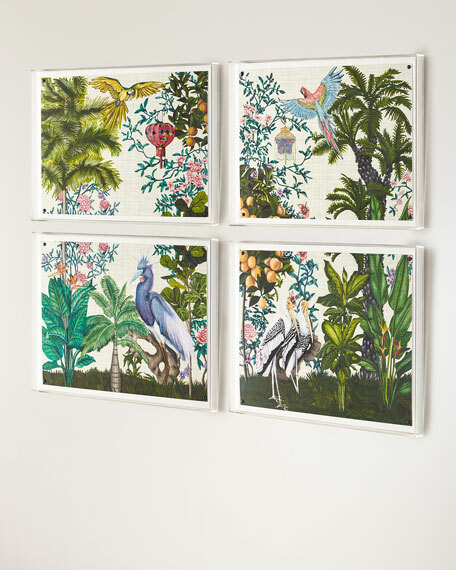 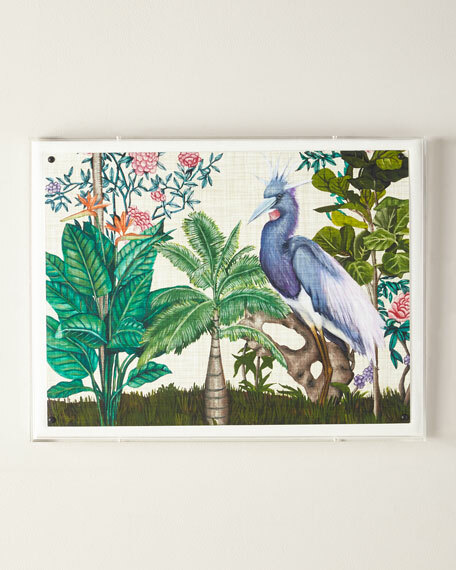 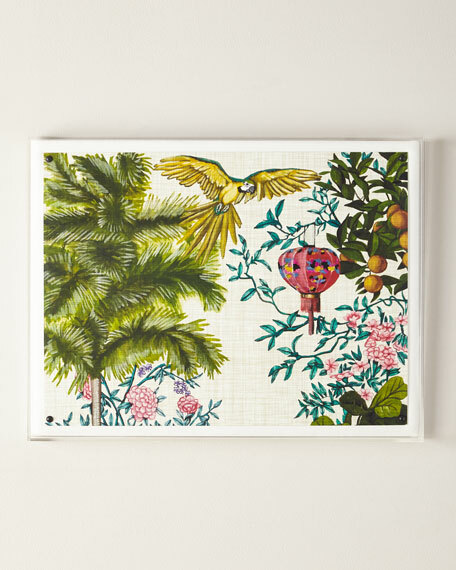 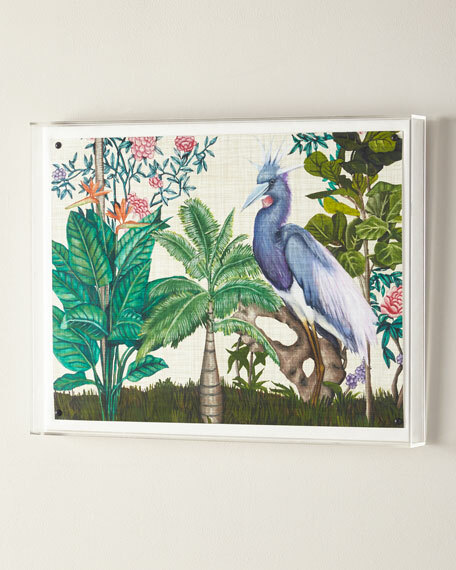 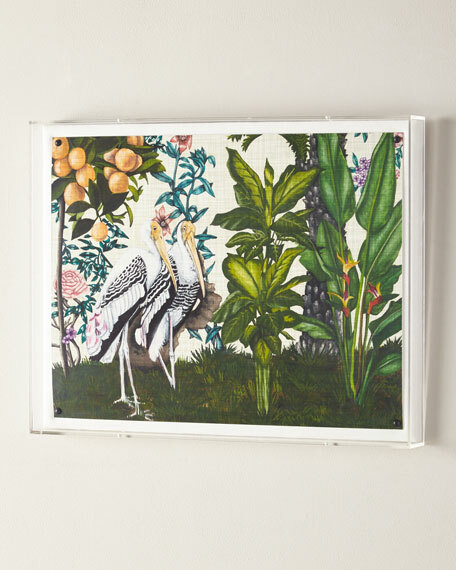 Whimsical and colorful tropical panels, our artwork collection features a giclée print mounted under a 2.5" deep Lucite® shadow box. 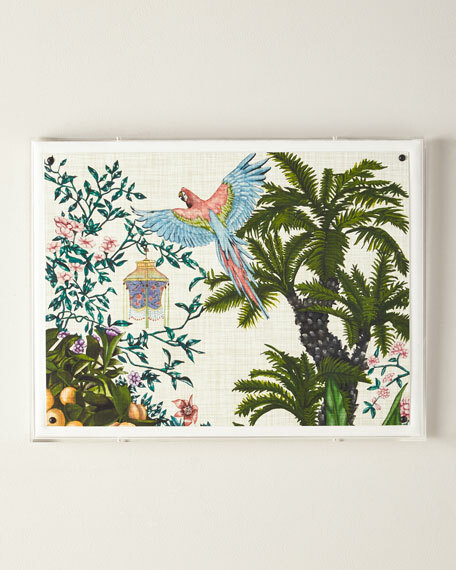 Attached to a linen wrapped interior panel, the artwork is finished with black nail head in each corner. 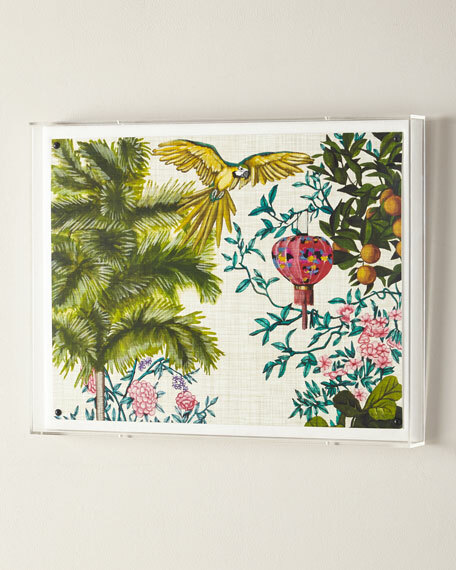 26"W x 2.5"D x 20"T.
Boxed weight, approximately 14 lbs.